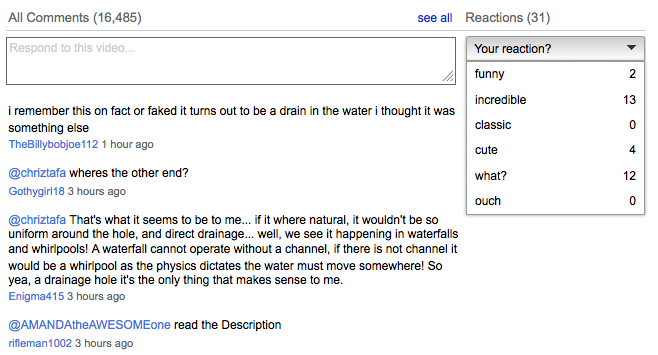 Google, the proud owners of Youtube launched the new “Reaction” feature today on Youtube videos. Based on what I’ve already seen today on some of my Youtube videos, there’s definitely some mixed reactions not only with the use of this new feature, but the reactions within the feature as well. Google & Youtube employees are watching and listening close to your responses, comments, and REACTIONS. Here’s a snippet from YouTube’s help forum announcing the new feature along with addressing some comments from Youtube viewers and users. You may notice a new feature we added to commenting on YouTube today. Directly next to the comments section when you are watching a video, you’ll find the reactions section. This feature provides a quick way to share your reactions about particular videos and view a concise tally of other users’ reactions. Reactions allow users to react to videos, while hopefully keeping the comments section focused on more meaningful conversations. We created these “tags” from the top short comments left on YouTube. Reactions will also help videos show up more frequently across the site– in browse, search and recommended videos– allowing users to find interesting new videos to watch. We’re definitely still working on this feature and will be making some changes, so please give us feedback! So what exactly is the purpose of this new feature? Will it help or hurt your video’s exposure, ranking or SEO? Does anyone really care about the reactions of others and isn’t that what the commenting section is for anyway? Only time will tell what this new feature will evolve to but my first “reaction” is very neutral at this point until I see its true value and understand the real benefits or faults of its use over time. I do love that Google and Youtube are always striving for bigger, better, faster, and more efficient ways to improve the online user experience, I’m just not sold on this particular feature as falling into any of those categories.